Basic-Guidelines for New Bikers - GGI-Group size: 4000+ Professionals, Increasing on day to day basis, Come & join us 2 serve Mother Nature. for buying a New Bike. Compulsory basic Accessories which a cyclist should buy while purchasing their new bicycles. Pls note : We r not promoting any brands over here, all accessories r listed to guide the new bikers what to buy. 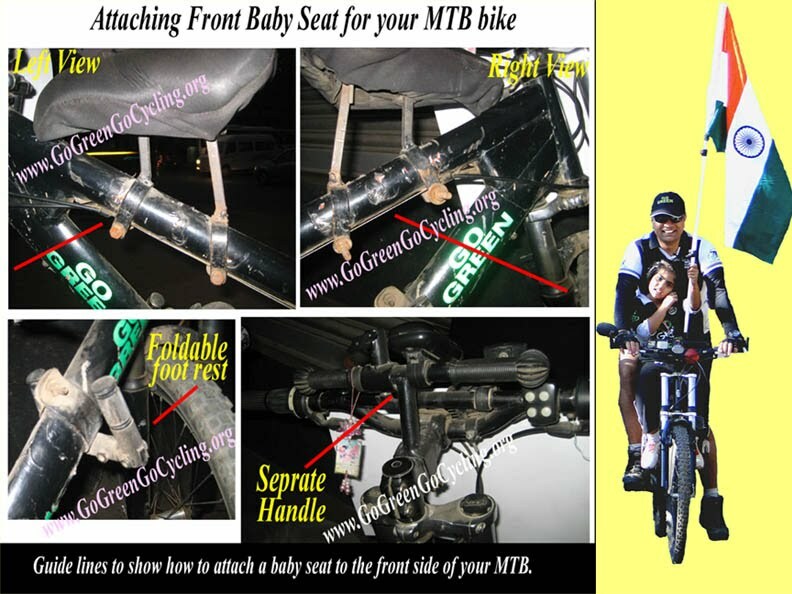 Few guidelines for fixing a child seat onto your bike.